Marjorie Brimer is a young adult fiction writer and graduate of Columbia College with a Bachelor of Science in Psychology and Teacher’s Certification in Middle School Science and Elementary Education. She is represented by Sharon Pelletier of Dystel, Goderich and Bourret LLC in New York. Currently residing in rural mid-Missouri, she is a locally-known musician, photographer and artist who has finally settled down after years of nomadic travel, living with the Navajo on the reservation in Arizona, in the mountains of Colorado, the plains of Nebraska and many other regions of the country. Marjorie has written four YA manuscripts and one Adult contemporary manuscript. Currently her YA thriller THE LURES OF PEMBERTON ISLAND is being submitted to publishers. Her experience as an educator gives her an advantage as a writer, helping her to keep her finger on the pulse of her target group. 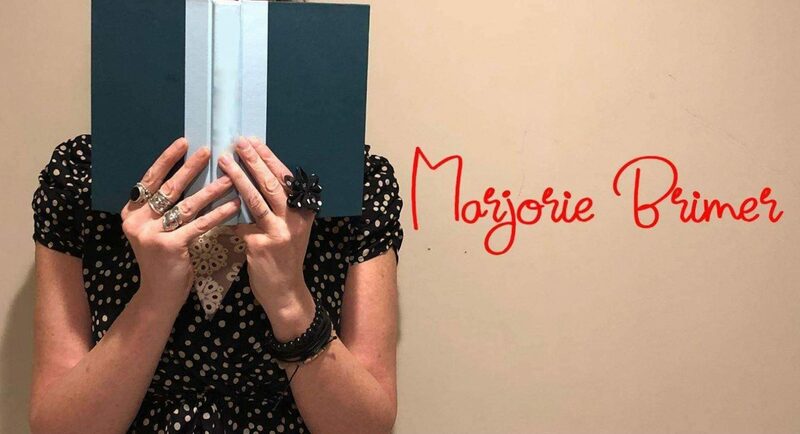 Marjorie’s current focus is on building a platform and working on new YA projects. Her newest work in progress is a YA thriller, where justice evolves into injustice when it becomes entertainment. A Punked-meets-Cheaters website entertains viewers by publicly exposing and humiliating people for their dirty secrets in a little cemetery town in California, and seventeen-year-old Simone suspects her friends might be behind the site. But it takes a tragedy and a series of videos explaining it to expose the site’s creator. BURIED, is a YA thriller with a 13 REASONS WHY meets NERVE feel. Stay tuned in to future posts where Marjorie will speak about her publishing journey and what she learns along the way. You can read a pitch of her manuscript on submission below. When teen runaway Greta and her boyfriend, Tate, land dream-come-true summer jobs on Pemberton, a private island off the coast of Maine, Greta hopes she can put her troubled past behind her. The Wilshires, Pemberton’s enigmatic owners, throw extravagant parties where celebrities and billionaires drink from champagne fountains under giant chandeliers, and all Greta has to do is lure the right kind of guests to the island. She’s an excellent Lure, good at identifying lies and manipulating secrets—and the Wilshires have a close eye on her potential. But Greta grows increasingly uncomfortable about Luring, despite the shiny beaches and glittering evenings, and begins to realize there’s a dark side to the island, including grave consequences for Lures who do not meet expectations. So when Tate disappears, leaving her a series of cryptic messages, Greta plans a risky flight from Pemberton, deciding that the freedom of reality is better than the comfort of a golden lie. Marjorie Brimer‘s startling YA debut, THE LURES OF PEMBERTON ISLAND, is Gatsby-meets-Gone Girl for Gossip Girl fans—unputdownable and unforgettable. How cool! You came to Arizona (I was born here) and lived with the Navajo! 🙂 If you don’t mind me asking, where did you live? Up in Chinle, perhaps? I lived in Flagstaff for two years, which borders the Navajo Reservation. It’s BEAUTIFUL up there! I lived in Shonto, very remote. It’s about 90 miles from Paige. I want to go back soon and show my kids the how beautiful it is. It’s an inspiring place. Thank you so much! I am honored by your nomination. You’ve done a great job in clearly defining who you are and what you want to accomplish – which is reminding me of what you said in another post, sometimes stating our goal helps us to move forward. I need to go back and think about what I’m saying on my blog. thanks! Thank you! I’m trying to maintain a constant state of focus. Good morning! Thanks for stopping by. It was a good morning indeed! I enjoyed your post. Thanks for liking my post about free ebooks. You’re blog looks great and I wish you all the best in getting published. I really like your logo picture…it’s very creative! Excellent and completely non-loon presentation! I’m in the publishing business, but not in commissioning, I’m sorry to say. Would you ever put up some extracts of your novels on your site? Just an idea. Thank you! It is always good to hear you’re not loony! 🙂 I’ve built a site for the novel but I’ve kept it private because I’ve read a lot about how posting excerpts is not necessarily always a good idea.Do you know about some research that shows the benefits of featuring chapters from your book online? Thanks for the like and the best of luck! I don’t write poetry but ping away at my blog post! Awesome. I will definitely check it out. Thank you! Great! We’d be happy have you! Thank you so much! I am honored. There’s so many wonderful things to read on your blog! I will be coming back here! This is wonderful to hear! Thank you!